Skye Gravestones | George & Jessie (Mackinnon) Macdonald. George & Jessie (Mackinnon) Macdonald. 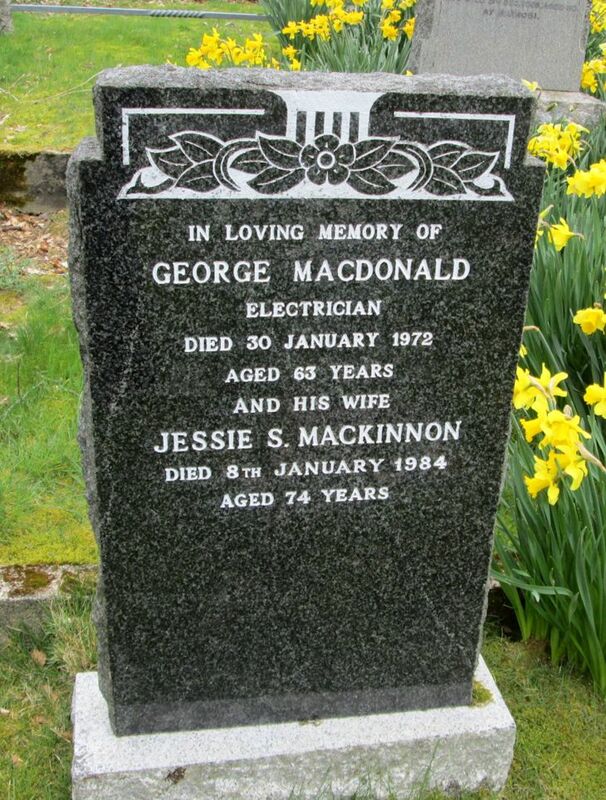 In loving memory of/GEORGE MACDONALD/electrician/did 30 January 1972/aged 63 years/and his wife/JESSIE S. MACKINNON/died 8th January 1984/aged 74 years..
Picture Added on 04 May 2014.